Finding ways to burn fat on a bike without burning the pockets. "Kuripot" adj. given to parsimony; frugal or stingy. I recently moved to a different company last July. The office is located in Ortigas Center in Pasig. 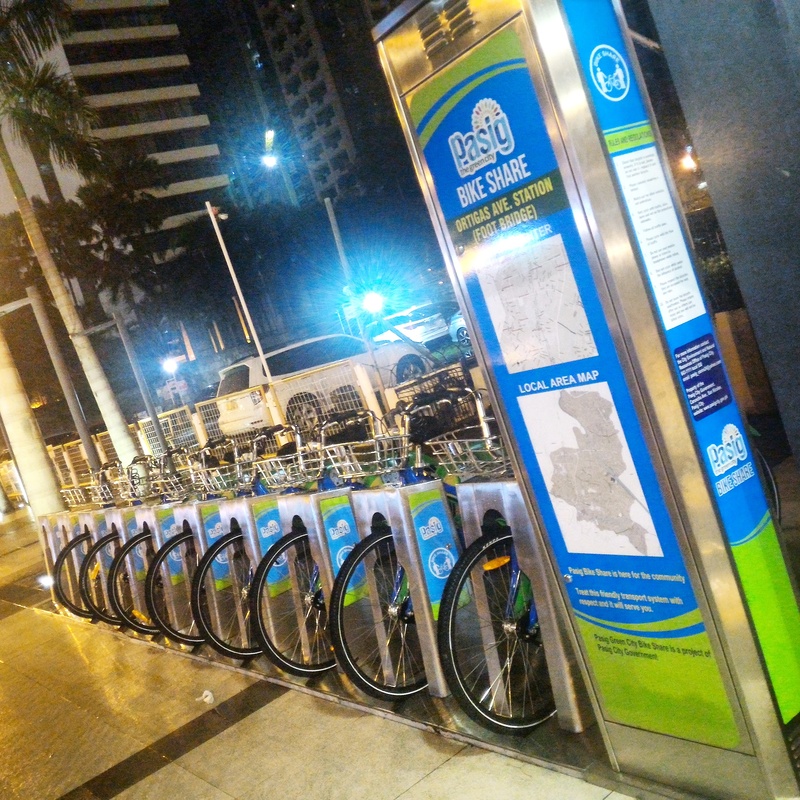 Ortigas Center, specifically Emerald Avenue, is known to be bike friendly for having Carless Weekends and going around the business district, I got to discover the city’s facilities that bikers and non-bikers will appreciate. 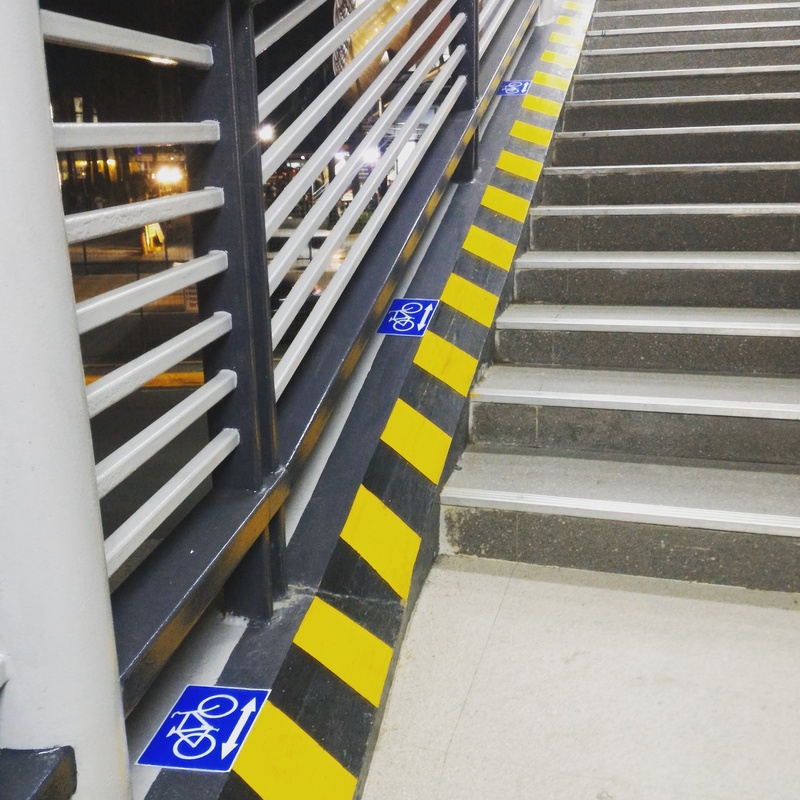 They have an overpass with provisions so that you can push your bike up and down the stairs with ease. It is well lit and has a cctv monitoring. They also have bike sharing stations. You sign up for the service, get a card similar to the Beep cards used in the MRT and P2P buses, tap to get a bike, ride to your destination, lock the bike, and tap again to return the bike. The bikes are well built, using Kenda tires, with fenders, and a well cushioned seat. They also use a drive shaft system meaning no greasy chains to ruin your pants or skirts. 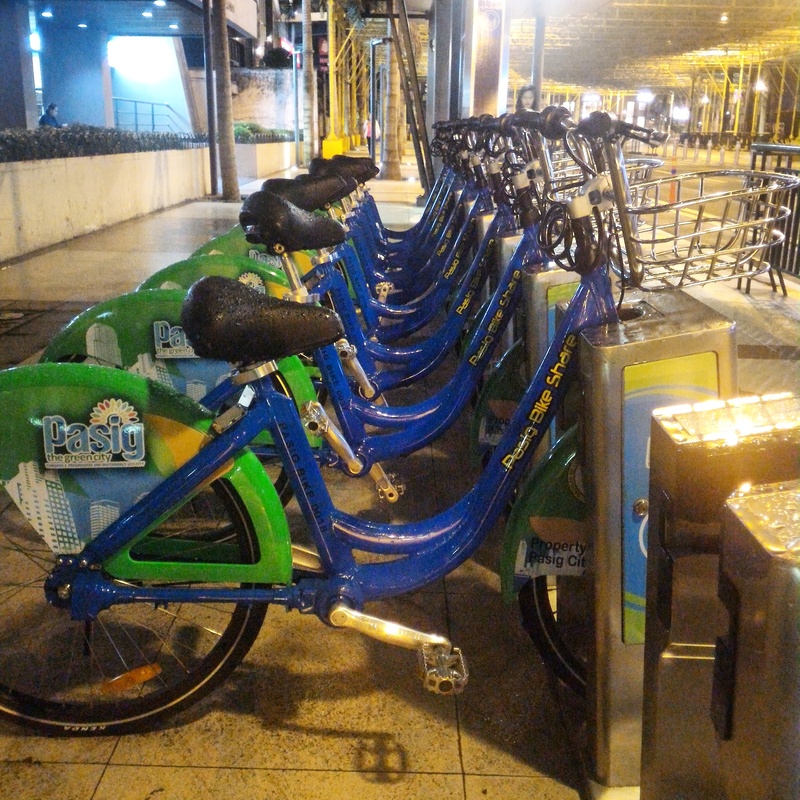 There is a similar bike sharing service in BGC which was launched last year. Business districts can and should take advantage of these kinds of services. They would help ease traffic and encourage people to take bikes instead of traditional transportation modes. Oh, and hopefully I can start blogging (regularly) again. So, you want a (folding) bike?